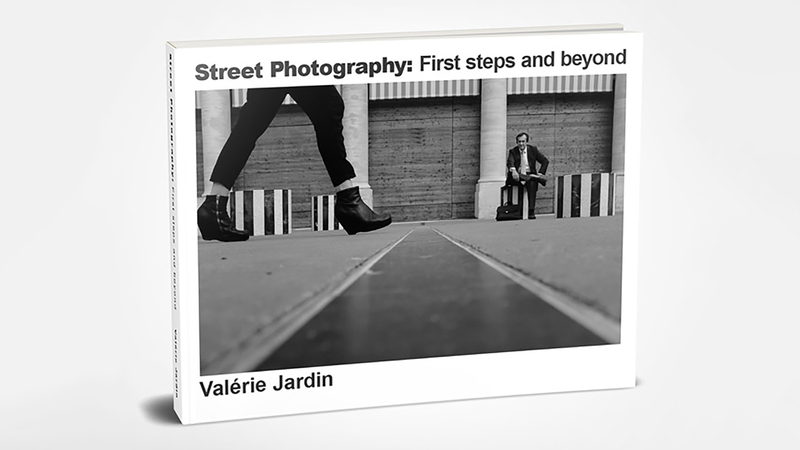 Valerie Jardin’s latest book is exactly what you need to get started with the wonderful genre of street photography, and it’s a perfect refresher course for those with experience. Jardin is an energetic and passionate teacher who leads workshops for street photography in places like Paris and Chicago and when you read her book you’ll feel that passion and it’ll excite you to get out and shoot. The book is well organized and it is simple to read, yet it maintains an intelligent voice. Jardin’s photography fills the book and the examples are pertinent and concise. She clearly describes things to do and some things not to do to make stronger, more engaging photographs. I think my favorite thing about this book is that as I read and look at her photographs, Jardin helps me see the world around me as worthy of being photographed, and she shows me that I don’t have to travel to exotic places to shoot street photography. Her style and anecdotes make good pictures feel accessible and achievable. In speaking of accessible, the book is just US$10, and since it’s an e-book you can take it with you on your mobile device. I review the book each time I go out to shoot street so the principles and ideas are fresh in my mind. It’s a quick read with solid principles for improving your photography, and I highly recommend it. Check out Valerie Jardin’s work, and purchase the book here. Here’s a video introduction for the book.